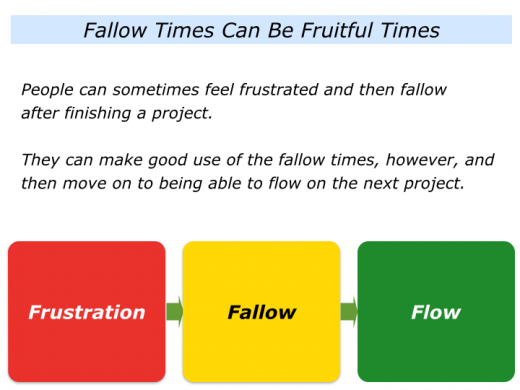 “I often experience a sense of flow in my work, such as when doing a rewarding project,” said one person. 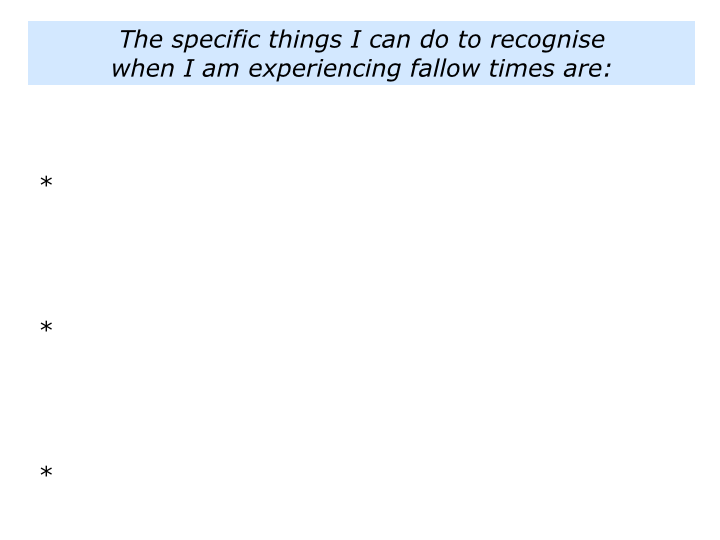 “After completing the job I sometimes go into the doldrums. I am then tempted to jump into the next project, even though it may not be too stimulating. 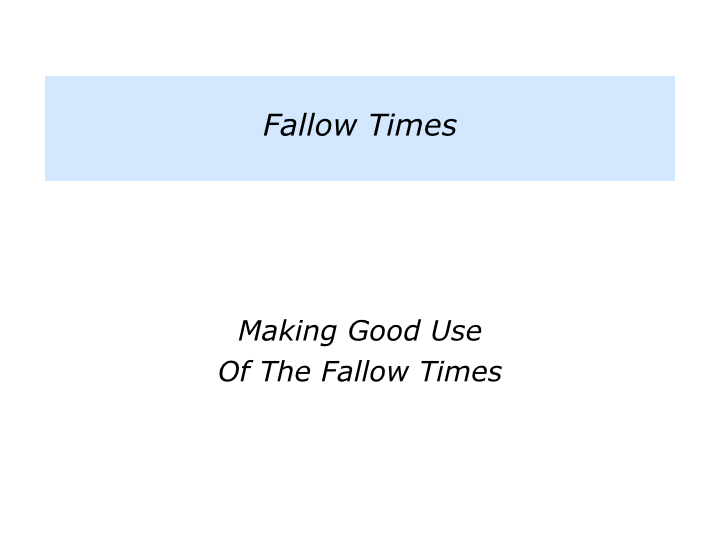 Great workers learn how to use the fallow times. These are the hours, days and months that come between feeling frustrated and enjoying a sense of flow. 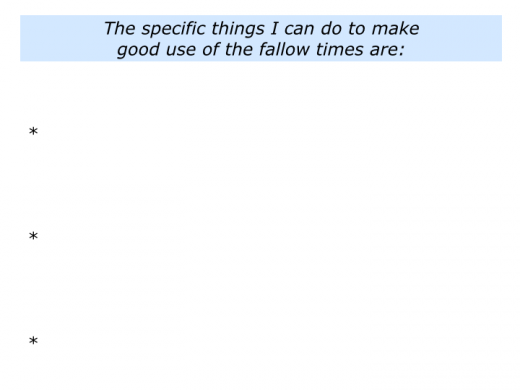 Let’s explore how it can be possible to make good use of such times. 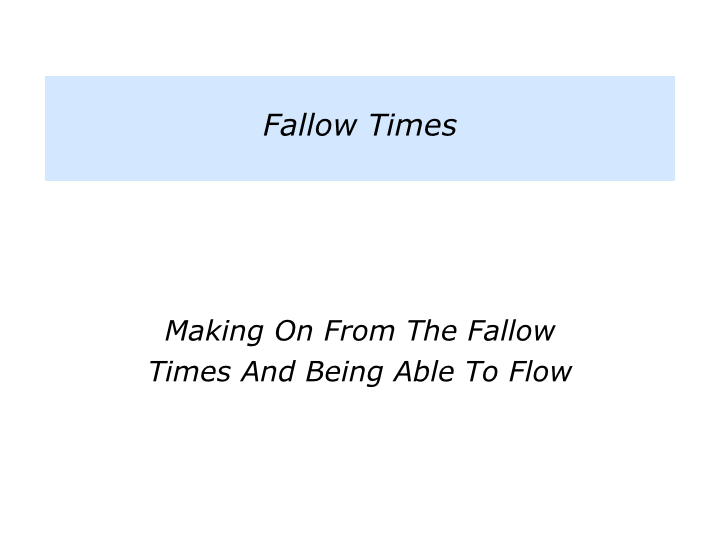 People love to flow. Mihaly Csikszentmihalyi’s pioneering work in this area showed how a person can become completely absorbed in an activity and feel that time goes away. He explained that people often take the following steps to enjoy flow experiences. They start by choosing to do something stimulating and perhaps stretching. This could be writing, skiing, solving a problem, tackling a challenge or whatever. Concentrating fully on what they are doing, they set clear goals. They have a sense of control over their actions, do the work and get immediate feedback. They experience a deep and effortless involvement that removes the frustrations of everyday life. Sometimes they find their concern for self disappears, but paradoxically their sense of self emerges stronger. Reaching the goal is satisfying, but this can be followed by a sense of frustration. They sometimes find it difficult to find the next adventure where they will experience a sense of flow. 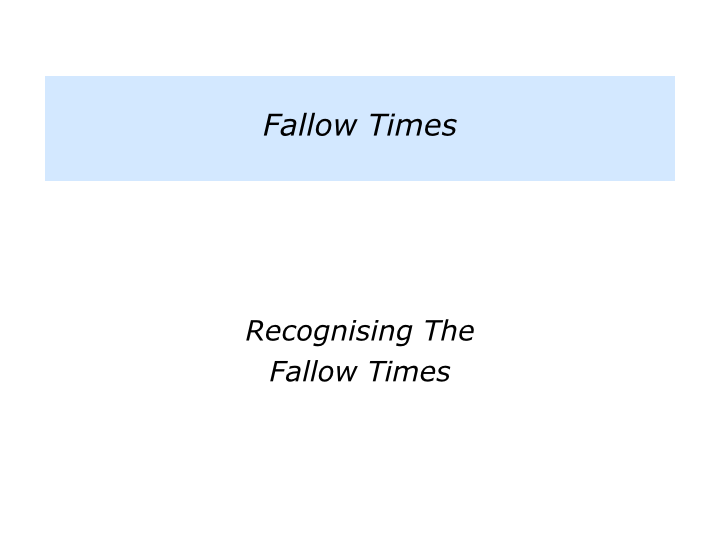 At these times it can be useful to remember the agricultural tradition of allowing a field to lie fallow. The pasture can rest, recover and become revitalised. Creative artists also know the value of giving themselves permission to be fallow. 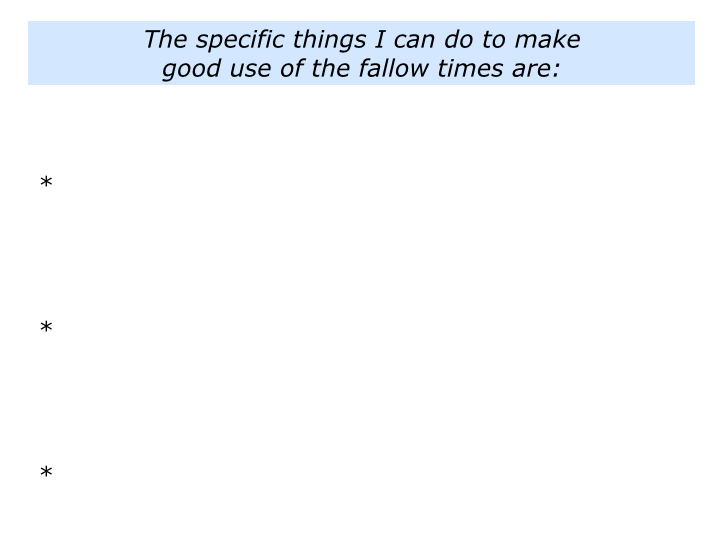 Providing these times are used properly, fallow times can be fruitful times. The first step is to recognise these periods. If you wish, try tackling the exercise on this theme. 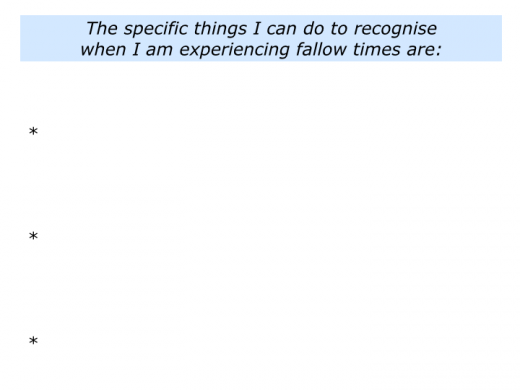 This invites you to describe the specific things you can do to recognise when you are experiencing fallow times. 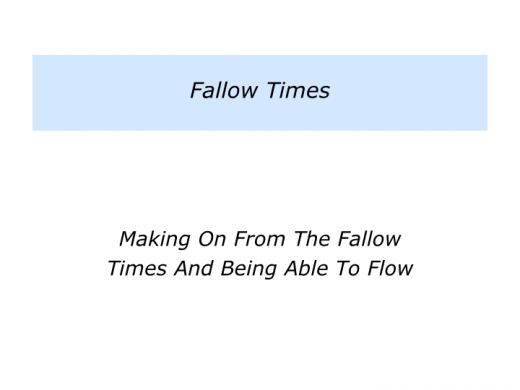 People can be vulnerable during the fallow times. They may have completed a satisfying project, sold a company they built or fulfilled another dream. Looking for a new sense of purpose, they can sometimes feel empty. Because of this searching, they are open to the influences around them. They may feel a vacuum inside, but this can open the door to ensuring that such times becoming fruitful times. People who are open can benefit by surrounding themselves with positive – rather than negative – influences. Exposing themselves to enriching experiences can sow the seeds of future growth. What would you like to surround yourself with at such times? You may wish to sleep, visit beautiful places, walk by the sea, spend time with kindred spirits, play your favourite music, study success or whatever. If you wish, try tackling the exercise on this theme. This invites you to describe how you can make good use of the fallow times. People who surround themselves with enriching experiences often find that a stimulating project emerges. Some may be cautious, however, and wonder if the new project is the right thing to do. They wonder if they will recapture their previous sense of purpose. There is no perfect answer to these questions. When looking at the stimulating project that emerges, it can be useful for them to consider the following themes. Will doing the project give me positive energy? Will pursuing it give me a sense of fulfilment? Will doing it contribute to achieving my personal or professional goals? If the answers are “Yes,” then it can be useful to seize the opportunity. The touchstone is whether or not it gives them positive energy. 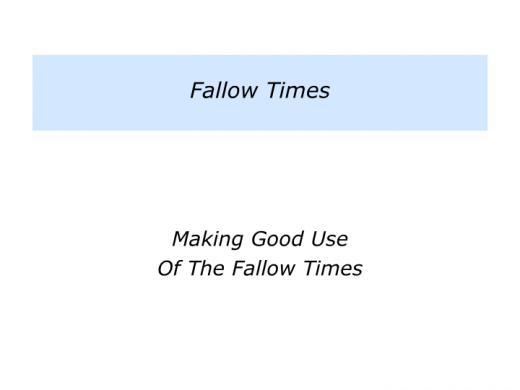 Making good use of the fallow times increases the chances of choose a stimulating project. Embarking on the adventure, they can then flow, focus and finish. If you wish, try tackling the exercise on this theme. 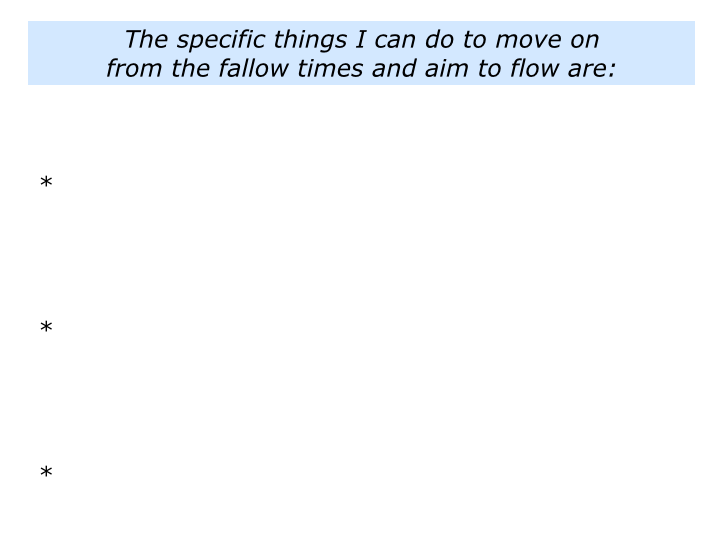 This invites to describe the specific things you can do move on from the fallow times and aim to flow.